With a friendly small-town feel, eclectic music scene and close proximity to Georgia’s Blue Ridge Mountains, Athens is a peach of a place to spend a weekend. Known as the Classic City, Athens, Georgia, is my kind of town. In fact, everyone I speak to on my travels around the southern state raves about this pretty college town that’s set just 60 miles northeast of capital Atlanta in the foothills of the Appalachians. Here are our favourite things to do in Athens, Georgia. Of all the things to do here, delving into Athens’ music scene should be top of your list. This is, after all, one of the south’s top music towns with a number of recording studios and live venues supporting local acts (more on that in the next section). Athens has long been a breeding ground for home-grown talent: it was famously on the cutting edge of the new wave scene in the late 1970s. R.E.M., the B-52s and Widespread Panic are just a few of its most famous acts. The Athens Music History walking tour is led by former The Side Effects band member and local music historian Paul Butchart. He’ll talk and walk you through its long and diverse music legacy, stopping at landmarks like the Morton Theatre and an old dilapidated railroad trestle, which famously featured on R.E.M.’s 1983 debut album Murmur. It’s a fascinating tour, peppered with anecdotes of Paul’s time on the scene and memories of hanging out with R.E.M. 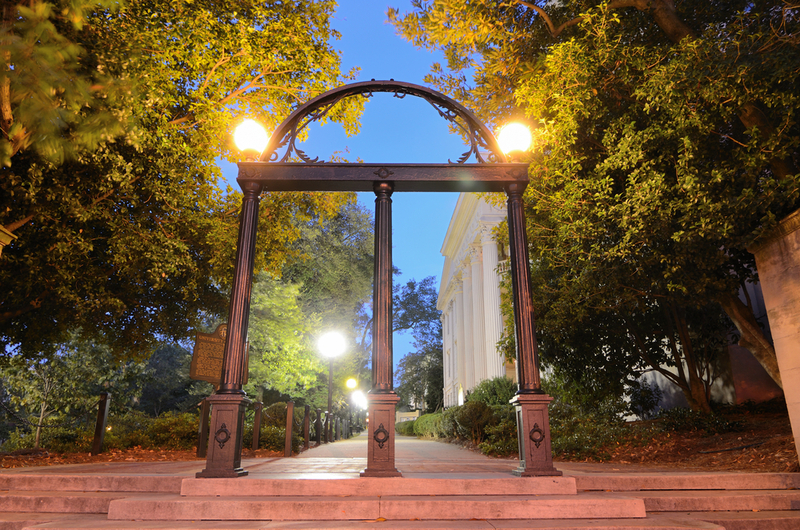 Athens is probably best known as being home to the venerable University of Georgia (UGA), the nation’s oldest state university – founded in 1785. Look for the cast iron arch entrance on the edge of downtown, which is nearly 160-years-old, and take a wander into the elegant grounds of the historic north campus. It was modelled on Yale University. Perhaps the best way to get a feel for Athens is by taking a stroll around its restored dainty downtown and pretty neighbourhoods – it has a total of 16 districts on the National Register of Historic Places. Head to Boulevard, a lovely community of dreamy colourful clapboard houses and grand antebellum homes, or leafy Cobham. Close to the university, it’s where many wealthy families first built their elaborate residences, including one of Athens’ most notable antebellum buildings, the Taylor-Grady House. The 1840s mansion is a gorgeous example of Greek revival architecture and retains many of its original furnishings. Five Points is another atmospheric area with its share of stately homes (many now fraternity and sorority houses) and an enticing assortment of independent stores, bars and cafés. Delve into local history at the Athens Welcome Center, based in its oldest surviving residence: the Church-Waddel-Brumby House mansion. It was built in the Federal-style and was once home to two UGA’s presidents. Nearby, you’ll find one of the city’s most cherished landmarks in front of City Hall. The double-barrelled cannon was invented by a local dentist during the Civil War and is the only one of its kind in the world. There’s bound to be live music on somewhere in Athens. If you take Paul’s tour ask him where to head that night or pick up a copy of Flagpole Magazine, a free weekly arts guide. The best-known venue is 40 Watt Club on West Washington Street, which has been a breeding ground for rising stars since the late 1970s. Just around the corner on West Clayton Street is Caledonia Lounge, an intimate and low-key venue. Craft brewery Creature Comforts on West Hancock Avenue often has live music too – order a Tropicalia (its most popular IPA with pleasing passionfruit tones) and head out to the large beer garden to listen to the eclectic acts. Historic concert hall Georgia Theatre mostly hosts big-name touring acts, but its late-opening rooftop bar has free performances from up-and-coming bands. It’s a lovely breezy spot on a balmy evening to chew the fat over a burger and beer as you gaze across the city or sway to the sounds of live music. Converted 19th-century iron workshop, The Foundry is another lovely venue to catch local artists – its menu of craft brews and tempting southern-inspired food will fuel you through the night. Visit in June and you’ll be even more spoilt for choice – over 150 bands and 20,000 people descend on outdoor venues around town during annual music and arts festival Athfest. Athens’ food scene also punches above its weight. Most of the action is concentrated downtown with a selection of unpretentious cafés, bars and restaurants. Former music venue, now buzzy restaurant, Last Resort Grill does a sensational line in elevated southern specialities. The best of Georgian produce – such as Vidalia onions, mountain trout and shrimp – is cooked with aplomb. Don’t overindulge, though, as the show-stopping cheesecakes in the counter – made by local Blackbird Bakery – are as delicious as they look. One of the hottest tables in town is The National, run by locally renowned chefs’ Hugh Acheson and Peter Dale. The menu has a distinct European bent and dishes are made for sharing. Order cocktails, a selection of appetisers: the spiced lamb with okra and chickpeas and medjool dates stuffed with celery, manchego cheese, and smoked paprika are divine. For a low-key lunch of soul food classics – fried chicken, collards and cornbread – don’t miss Athens institution Weaver D’s. This humble food joint on the outskirts of downtown is steeped in music history – its “Automatic for the people!” sign was immortalised as the title of R.E.M’s 1992 album. For craft beers, sample various styles and flavours in diddy measures before settling on your favourite at Creature Comforts and Terrapin Beer Co, just beyond the North Chase neighbourhood. One of the first of the new wave of craft breweries in town, Terrapin has a big indoor tasting room and beer garden where food trucks feed the crowds in the evenings. Over in Boundary, you’ll find Heirloom café, a lovely laid-back place for brunch with a firm focus on local and seasonal produce. Located inside a former gas station, the coffee is top-notch and dishes include buttermilk biscuits with eggs, pulled pork hash with baked eggs and crispy collards and the deliciously devilish Doscuit Holes – doughnut balls shaken in cinnamon sugar and drizzled with bourbon salted caramel. You’ll find many of the city’s café suppliers at Athens Farmers Market, which takes place every Saturday morning just up the road at Bishops Park. It’s a fantastic place to potter – pick up a peach (this is the Peach State, after all), grab a coffee and tap your feet to the live music. The market is also on at Creature Comforts brewery on Wednesdays from 4pm to 7pm. Athens is a great town for thrift and vintage shopping too: go to Clayton and Jackson streets to find the best stores. Atomic Athens, Agora Vintage and Dynamite Clothing should throw up some fantastic finds. Music buffs should make a beeline to Wuxtry Records on East Clayton Street. You could lose hours rifling through the CD and vinyl collection here and many people do. This is where Michael Stipe and guitarist Peter Buck met as the latter worked in the store. Low Yo Yo Stuff on West Washington Street is another must-do music shop. 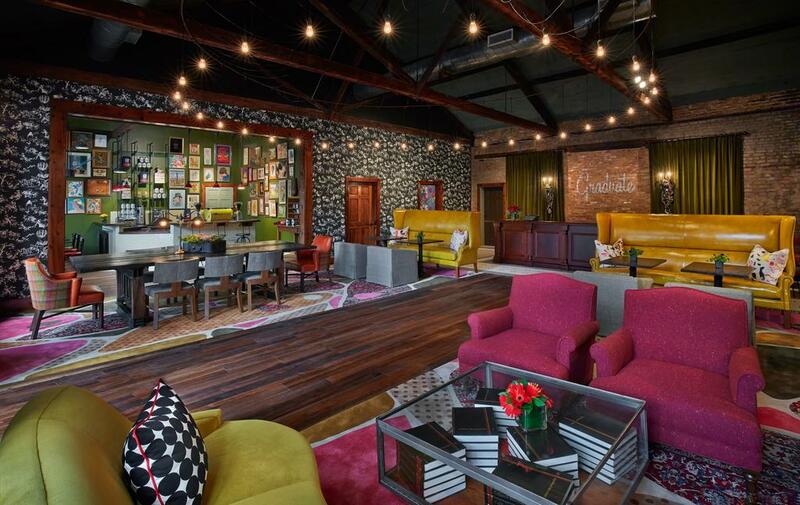 Just on the edge of downtown in the historic Foundry venue on East Dougherty Street, boutique hotel the Graduate is a fabulous base. Inside a replica of the 1820s Athens row houses, the rooms have quirky retro interiors. Start your day at its charming café, Iron Works Coffee, then borrow a bike to pedal into and around the town. After a few fun-filled days (and nights) in Athens, meander your way north for a road trip around Georgia’s Blue Ridge Mountains. These are the best spots to stop off for a slice of nature. 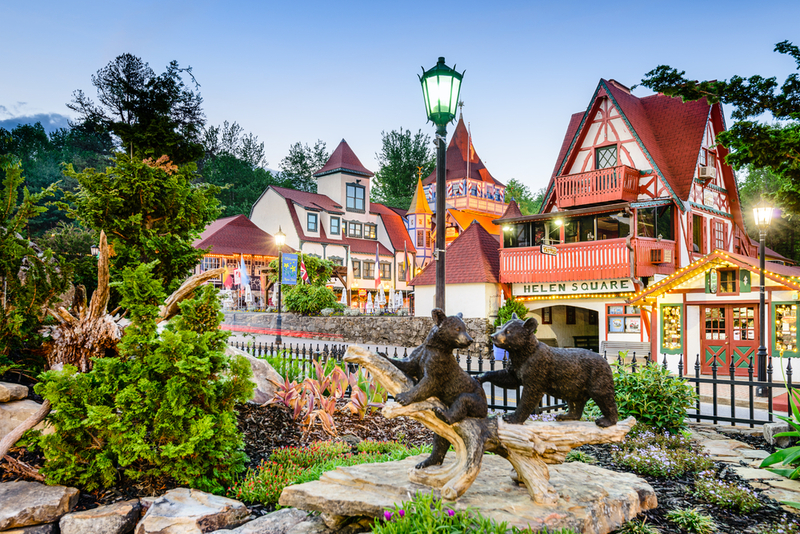 A somewhat bizarre recreation of a Bavarian Alpine village, Helen is a good base to explore this scenic part of the state, particularly if you’re into hiking, biking, ziplining or golf. If you’re only here for a day, however, do as the locals do and spend a few hours drifting down the Chattahoochee River. Tubing is great fun and a lovely way to watch life along the tree-lined riverbanks. Make sure you get a push-off stick in case you get stuck in the shallows or on the bank, and be prepared to get wet as the route is punctuated by little rapids. Stay at the luxurious all-suite Valhalla Resort Hotel with its wonderful mountain views, rooftop bar, and lovely spa. If you’re road tripping, drive onto the charming town of Dahlonega with its picturesque mountain backdrop and pretty historic square. It was the site of the USA’s first major gold rush – hordes of treasure-hunters flocked here in 1829 hoping to make their fortunes. Its gold covers the state capitol dome in Atlanta. Learn more about the town’s history at the Dahlonega Gold Museum, located in the old county courthouse on the square. Pay a visit to Consolidated Gold Mining to duck underground into a former mine. You can even do your own panning for gold at family-run Crisson Gold Mine which also has a working stamp mill. The town is a good base for enjoying Georgia’s wine country – wend your way up the steep and winding roads to Wolf Mountain Winery for thrilling views and a meal to match in its acclaimed restaurant. Owned and run by the Boegner family, they host tasting flights too which can be accompanied by platters of Georgian cheeses. Another local drop worth seeking out is Etowah Meadery’s honey wines – look out for its mayhaw-flavoured mead, a tart apple found in the swamplands south of Georgia. There are some lovely woodland cabins around Dahlonega, such as family-run Forrest Hills Resort. Opt for your own private cabin, complete with stoop and swinging chairs where you can watch the fireflies (or lightning bugs, as the locals call them) dance. For chilly nights, there are hot tubs and open fires. Hiking is what draws most people to Georgia’s mountains. They are at the southern end of the famous Appalachian Trail, which stretches from the top of Springer Mountain over 2,200 miles north to Mount Katahdin in Maine. If you’ve got a spare five-to-seven-months to tackle the world’s longest hiking-only footpath, that’s great. But for a more manageable hike follow the eight-mile approach trail from Amicalola Falls State Park to Springer Mountain. 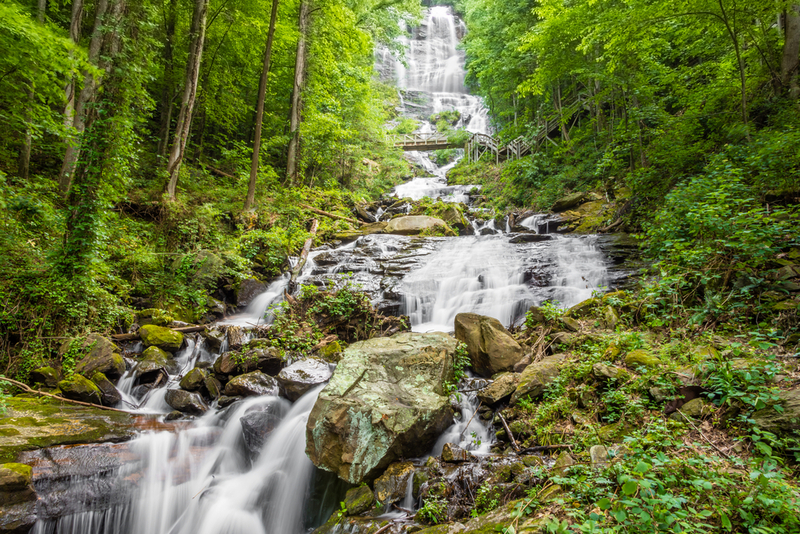 The park, which is part of the Chattahoochee National Forest, has plenty of lovely hikes including one to see Amicalola Falls, the highest cascading waterfall east of Mississippi. Follow the steep but easy path along the impressive 729-foot tumble of water, keeping an eye out for black bears and bobcats as you go. Amicalola Falls Lodge has seemingly endless views across the Great Smokey Mountains – its terrace is a prime position for sunset and watching the American buzzards circle overhead. 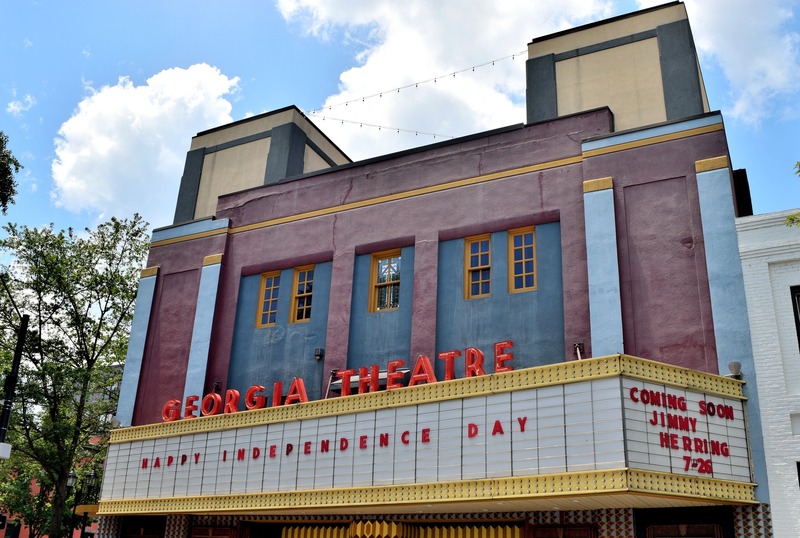 For all the information you need on visiting Athens and Georgia, visit Explore Georgia. 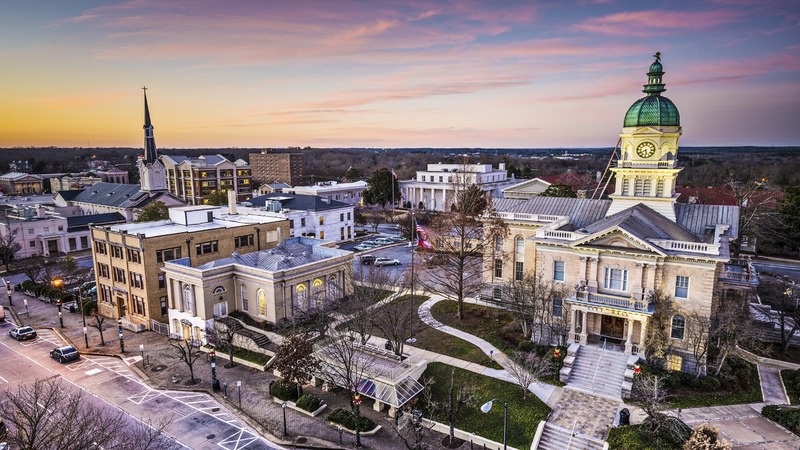 America As You Like It offers package trips in the area taking in Athens, Helen and Dahlonega from just £1,432, including return flights and car hire.